As part of the services offered to private school teachers, the CaPSPD Now program is collaborating with Cal State TEACH to offer teachers an online hybrid pathway to obtain a California Clear teaching credential. This online hybrid program began in the fall of 2017. This induction program relies on the colleague coach relationship with the new teacher (candidate). Without the colleague coach (mentor), the day-to-day support and monitoring of growth as a teacher would be impossible. This program is the first of its kind approved in California under the new induction standards. All the professional development for the candidate will be done on-site or online with the Colleague Coach. There is no need to travel to a central location for teacher training. Rather the professional development will be totally centered on the candidate’s need and unique situation. Moreover, this program will allow private school teachers in remote locations an opportunity to earn a Clear Credential. This mentoring program supports teachers in non-profit private schools to secure their California Clear Credential for multiple subjects, single subjects and learning specialist. The table to the left describes the roles of the participants in this credential program. COSTS: The induction program would cost the candidate $2,342 per year and the candidate would be eligible to earn 6 CSU credits per year. 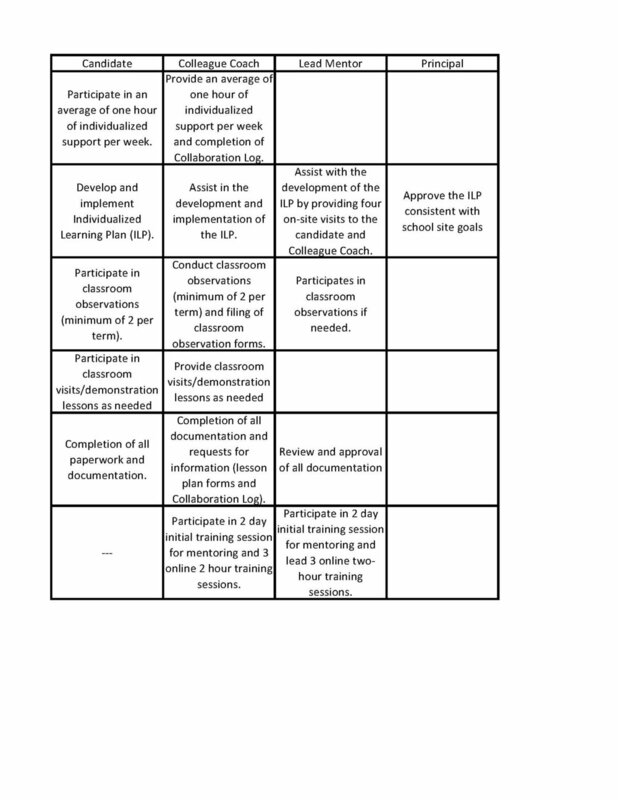 The Colleague Coach would be provided the mentor training free of charge, but the school would bear the costs of travel for the initial training session, and any stipends for the Colleague Coach. INDUCTION COACH TRAINING: Will be offered in Northern California and Southern California in twice each year. More details will be posted soon! These trainings are offered at no cost to the attendees.